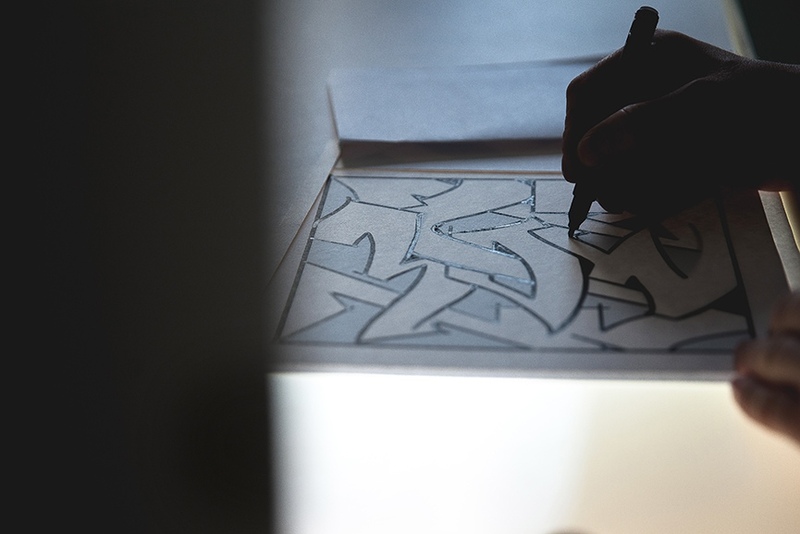 Ever since the nineties MOST has been one of the most recognizable figures in the German graffiti scene. 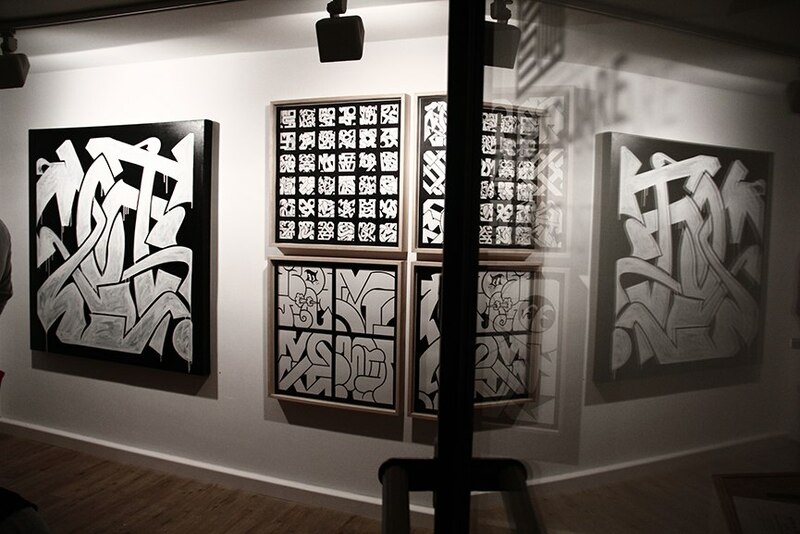 His tags, throw up’s and graffiti pieces, scattered in various locations and different cities, brought international fame to the artist from Hamburg. After more than two decades he finally decided to give in, and showcase his work at the gallery for the first time. 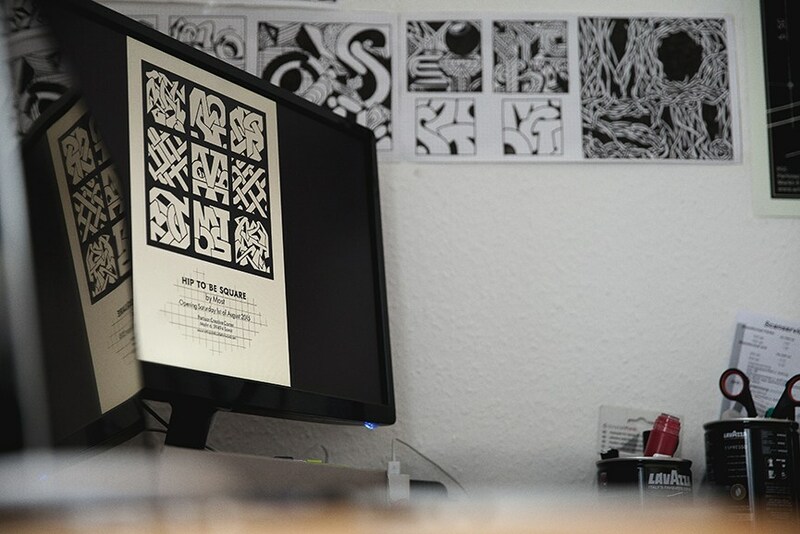 The Hip to Be Square Exhibition is currently on view at Art is Just a Four Letter Word Gallery in in Soest, Germany and in the wake of the exhibition we had the opportunity to interview MOST and talk about his recent change of “playground”. 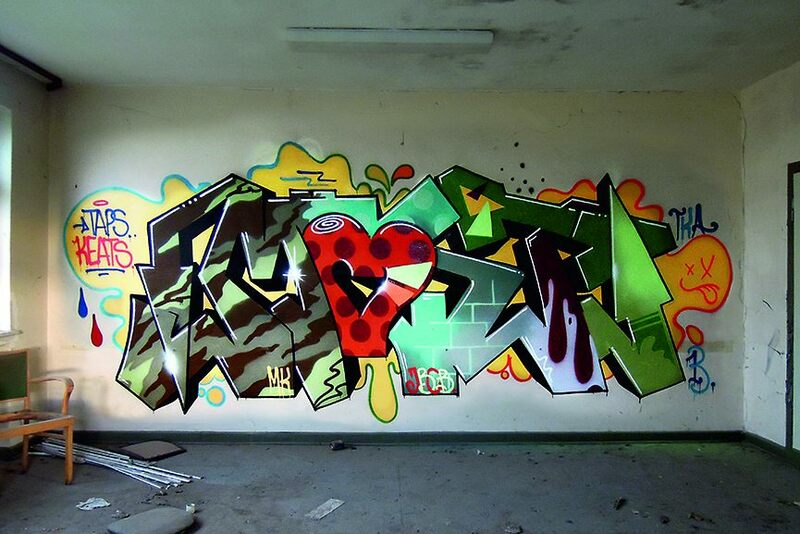 WideWalls: Who is MOST seems to be the commonly asked question for those who encounter your tags for the first time. Could you tell us how this name came to be, and what is the meaning behind it? MOST: It was just a good combination of letters for me and first there was no deeper meaning behind it. Most also sounds really cool, Haha! But seriously I have to say that slowly over the years a pseudonym became my name, my Graffiti alter ego, not my real name, my alias, but my only name given by myself so far. I`ve been writing the name for over 20 years now and there are a lot of memories and stories included for sure. 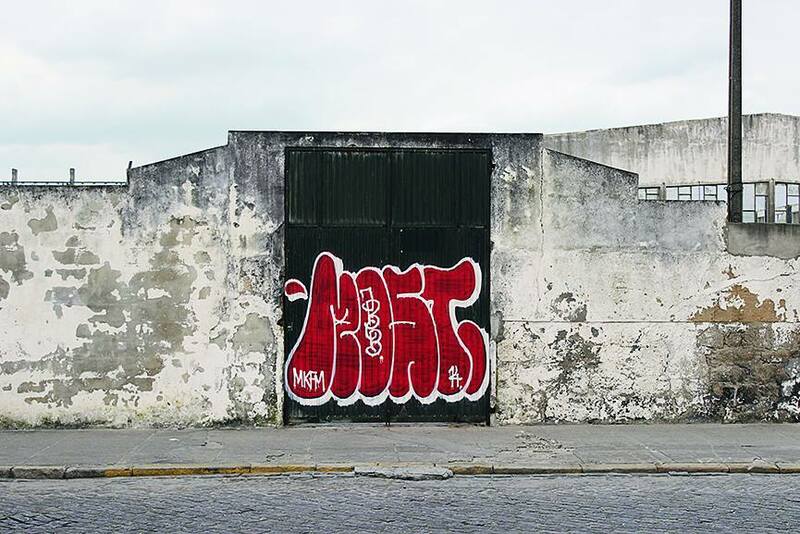 WideWalls: You are now pretty famous in your fellow-graffiti circles. But could you recall that time when you were just beginning your practice and tell us more about your initial thoughts on street art and why you chose this form of public expression over others? M: I grew up in the Ruhrgebiet area in the nineties. Dortmund as well as Hannover had at that time a so called completely destroyed train system. The Cities also had a lot of Graffiti in the streets and along the tracks. So you could imagine for me as a juvenile it was just impressive and imprinting by the same time. Graffiti was the virus and I was immediately infected. It was my version in full living color of this N.Y-Mothership and not like today where 90% of the graffiti you actually see is on the internet – it was all so live back then. Uncountable days spending hanging around at the train station and watching all these trains with pieces on rolling by. 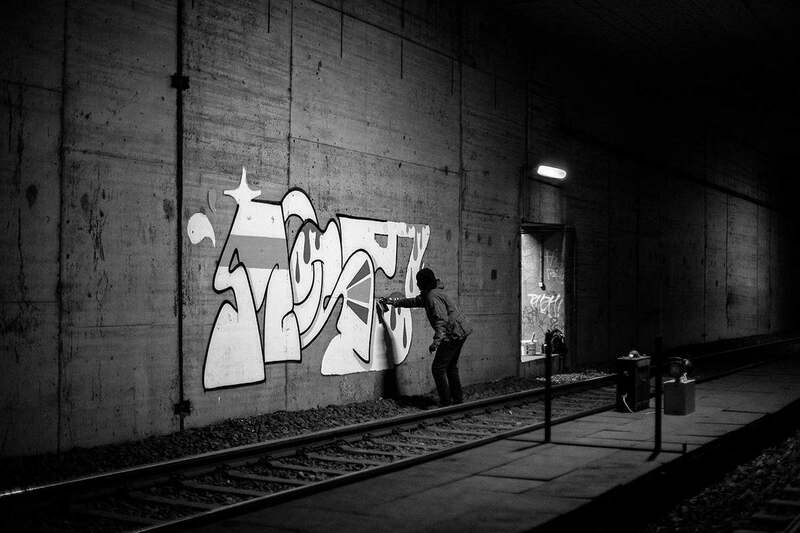 Trips to Berlin and Amsterdam back in the days just intensified my fascination for Graffiti. I painted and painted and became slowly better and better and also got a little bit more known for my style. When this so-called street art thing started in the Ruhrgebiet around 2000 I had no business with it. At that time, I did a lot of stickers together with TAPS, with simply our names on it, but to us it was just a side issue to our usual “getting up”. This whole putting up posters and stickers – street art thing looked pretty lame to us. Not just because 99% of the average street art dudes were just bored design students, most of them did not have a “real” reputation and an attitude to me. A little bit childish in a way, I know, but still have a similar feeling with a lot of these street art guys, just popping up from nowhere, mixing up styles they found in the all mighty internet and after one year or two they are acting like sophisticated artists who think Graffiti writers are all primates. A lot of graffiti writers from all over are really clever and talented people. And there`s also a lot of great muralists, illustrators and artists who are doing their thing in the urban space nowadays. They grew up writing Graffiti and some of them did not quit just like me. Don`t get me wrong, everybody can do whatever she/he like. What I am trying to say is, I never thought about calling myself a street artist – first and foremost I am a graffiti writer. I worked several years as an illustrator and designer myself, but I always tried to kept my Graffiti original, separated from graphic design and such influences – today I have to say that`s a little bit small-minded, haha! And of course, I was influenced on from a very young age by all kind of other artists. My Dad took me to a Roy Lichtenstein and exhibitions and other pop-artist. Also to the Documenta show, he showed me art of Claes Oldenburg, Robert Rauschenberg, Richard Hamilton although Dadaists like Schwitters, Raoul Hausmann and John Heartfield. It sounds pretty weird, when I am thinking of me, a child of the late seventies in West-Germany kind ‘a visually grew up with Klaus Staeck, Ronald Mc Donald and YPS and then…finally Graffiti. WideWalls: You are characterized as one of the exemplars for the younger generations, but who are those artists from your generation you particularly admire or like to collaborate with? M: I am a founding member of the Jukebox Cowboys and I also have two other friends/graff-groups I am affiliated with. Family first, you know and I also really enjoying painting on my own…but there`s a lot of super talented writers and artist I admire. Just too many to collaborate with in a lifetime. 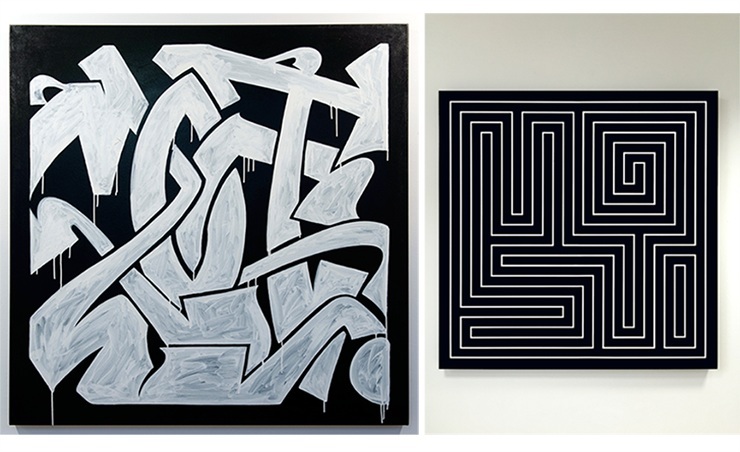 WideWalls: Hip to Be Square is your debut solo show. How do you feel about seeing your works in the gallery space and not outdoors? M: I feel really good about it. The whole process of preparing my first solo show was my personal moonwalk. Mostly all works shown in Hip to Be Square are handmade originals and exclusively done for the exhibition. 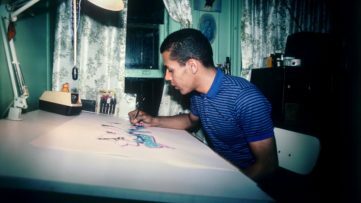 At first it was a big part of the process to find out what I wanted to create for the show, because I was not interested in rehashing my work from the outside onto the inside like one on one. 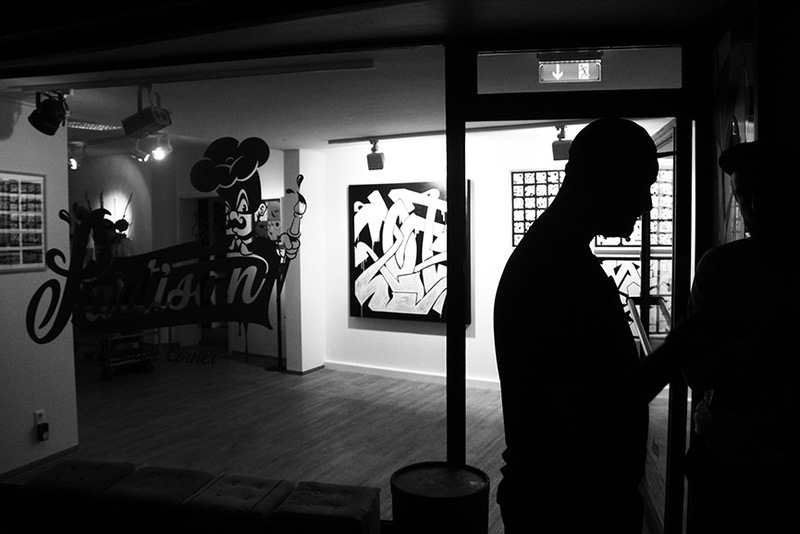 So maybe my biggest challenge was to translate my graff into the gallery. The name of the show also reflects my feeling about making this step. In the gallery the work stands more on its own, there are no nice buildings in the background for a nice ensemble, it also has to sustain to a lot more critics than a piece on the train or a big mural in the streets. The workflow is much different comparing to spraying a panel or a wall and the works have to last much longer! Maybe this derives from the fact that it was my debut solo show, but I just had a fragmentary picture of how all the works I have created for the show would look like in their entirety. But in the early morning, on the day of the opening, when I first stepped into the gallery, there was this magical moment – I got thrilled by the mix of when I finally realized that my show was completed and the adrenaline rush right before the opening. It was an amazing, totally new experience to me and I`ve definitely enjoyed it. 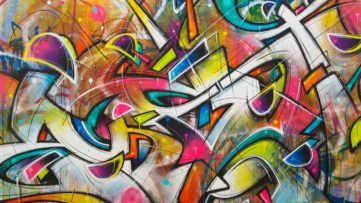 WideWalls: You’ve been working on the streets since the nineties, always staying close to graffiti roots. What changed your mind about exhibiting at the gallery? 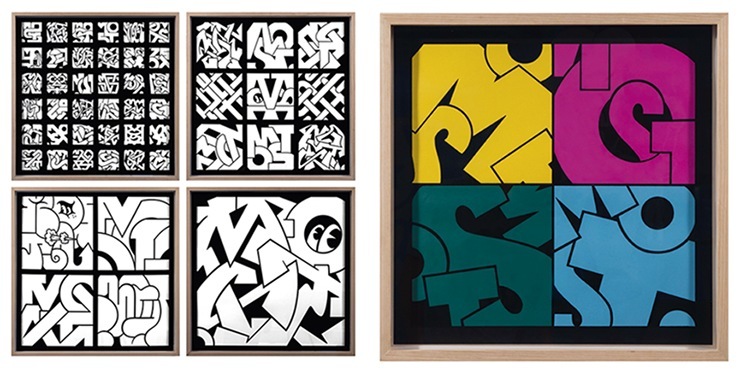 WideWalls: Hip to Be Square brings some really unique works of art, although they seem a bit unusual for those who are well acquainted with your previous work. How would you describe this transition? M: As I mentioned earlier, I am not about bringing my graffiti art one on one into the gallery. 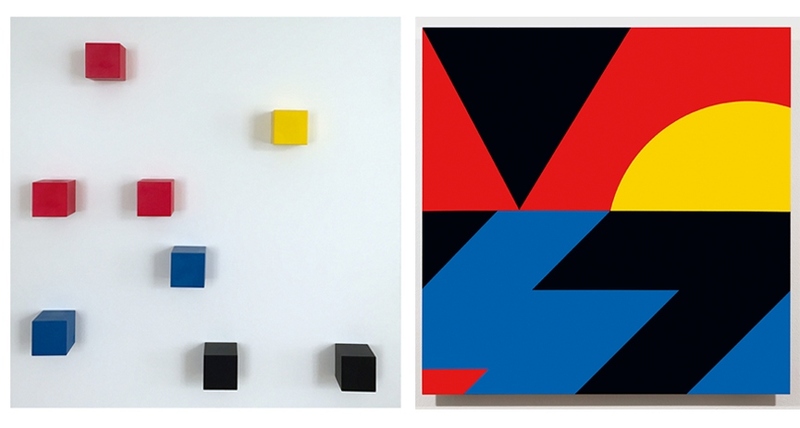 All the works are not accidentally solely within the square – a format that`s quite unusual to graffiti itself – not to Instagram. (laughs) At first sight, my studio works may differ quite a lot from my known Graffiti work. 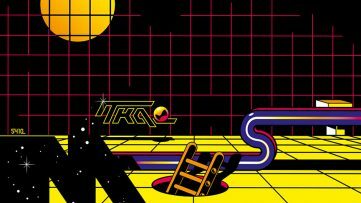 But if you look closely it`s still all about the four letters, the alter ego and the so called study of style, proportions, shapes, and space. I transformed them to other media and my studio work is more conceptual on the whole than my pieces in the urban space were up to this point. WideWalls: Do you think that the nature of street art is changing as many street artists today are regularly showcasing their works at galleries? And what does it mean to you personally and how does it affect your work? M: I think when you reach a certain level with your work it`s just natural to also showcase your work at a gallery. But street art will always work best in the streets, but somebody also has to pay the bills. For me, the gallery is a new playground and really pushes me personally as well my studio work and even my traditional graff. WideWalls: You have been actively creating your art for over two decades. What are your future plans and where do you see yourself in ten or twenty years from now? M: I just want to piece, paint, and create as much as I can – time waits for no man. Hopefully, I’ll establish myself as an artist over the next years and enjoying life with my family and friends. WideWalls: Are there any events or projects we should search for and look forward to in the following months? M: There are some festivals and walls on my schedule and a few other little projects and of course traveling. I am also really looking forward to my next show… maybe in 2017! So if somebody`s reading this and also has request for murals, a group show or an interesting collaboration, feel free to ask! To read about what your favorite street artists have to say about their work sign up for My Widewalls for FREE and enjoy our forthcoming interviews!